Posted by Destin Real Estate Sales on Thursday, February 9th, 2017 at 10:50am. This carefully crafted community is reminiscent of bright sun splashed villages you might see along the Mediterranean, however Alys Beach sits upon a sugary dune overlooking the emerald hued waters of the Gulf of Mexico. It was meticulously planned by the world-renowned Duany Plater-Zyberk team who achieved international architectural acclaim for introducing the pedestrian friendly “New Urbanism” design when they created iconic Seaside in the 1980s. 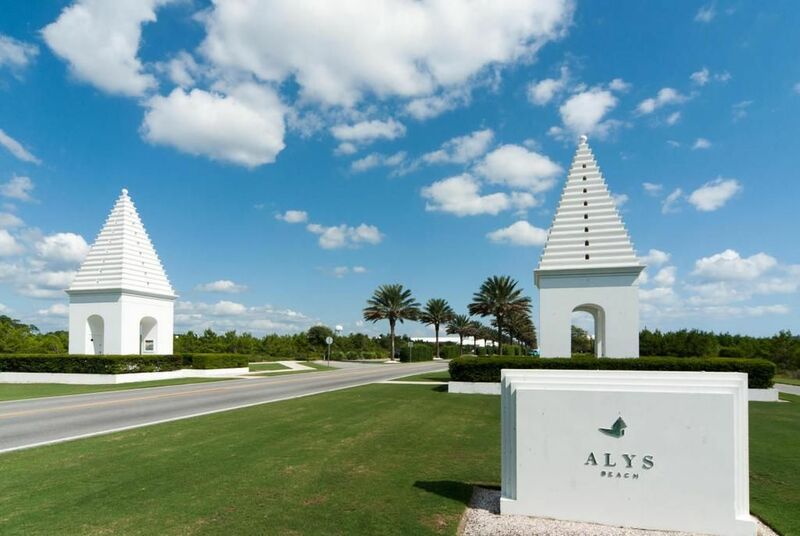 Alys Beach homes are also the first in the nation to be officially certified as a “Fortified Community”. Reinforced thick solid concrete walls, masonry grouted roof tiles, special doors and windows that are able to withstand nature’s strongest storms. Palms and lush landscaping accent the alabaster white exteriors throughout the village. A palatial community pool includes private cabanas with comfortable furnishings and the Caliza Restaurant that serves culinary delights along with craft cocktails al fresco. The expansive pool patio area is adorned with towering Royal Palm Trees that are magically up lighted at night for an enchanting effect. Alys Beach also has an exclusive beautiful beach that is available for use by all residents and their fortunate guests. These sensational brand new “Row Homes” each feature a private interior courtyard patio decorated with a fountain and heated plunge pool. 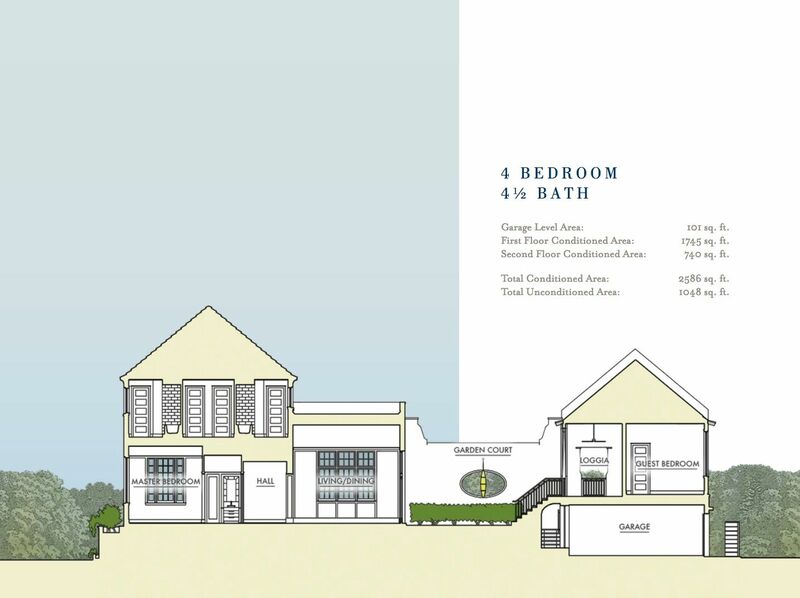 Known as Caliza Courts, they have a great location centered directly across from the spectacular Alys Beach pool beside a lush lawn near the heart of the community. Each one of these attached single-family homes encompasses over 2,000 square feet with three bedrooms that include full private baths en suite. 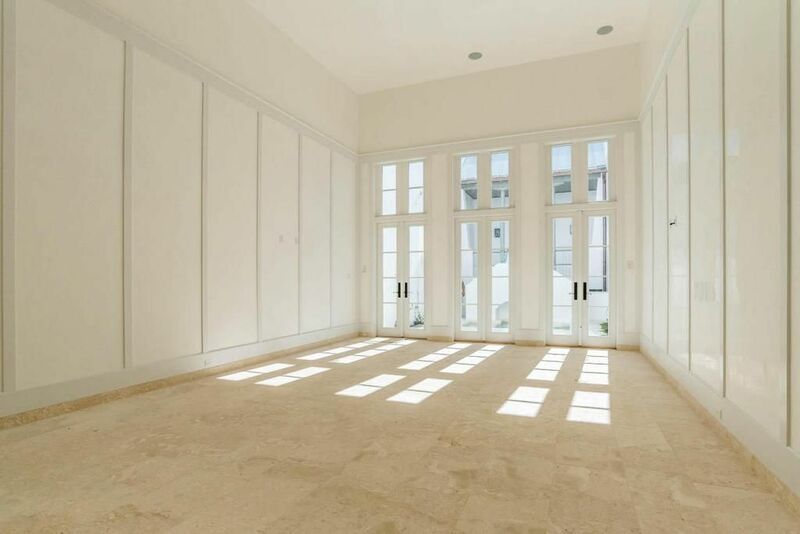 Gleaming brilliant white artisan applied Venetian Plaster accentuates light both inside and out. The spaciousness is also enhanced by the unique interior design which includes soaring 16 foot ceilings, lots of sunny windows, a large Great Room with a 12 foot tall triple set of French doors that lead out to the lovely open courtyard. Double half levels for the Master Bedroom Suite and one of the Guest rooms create an individual sense of privacy and space. 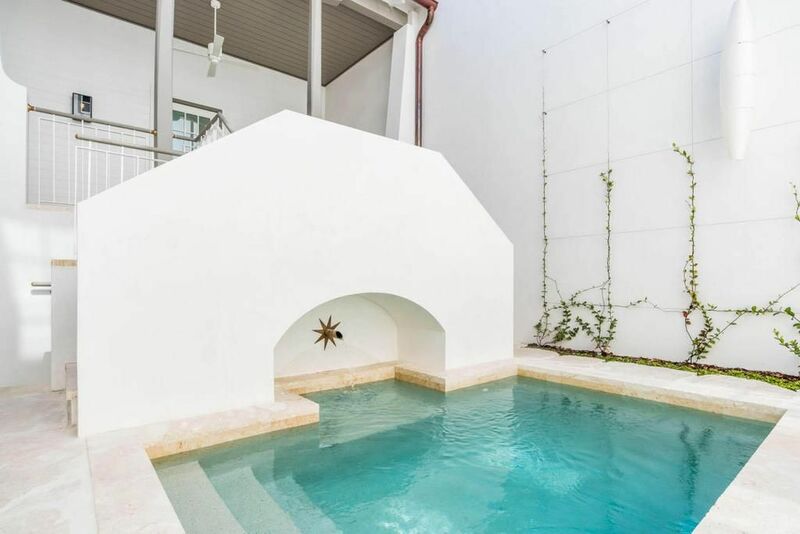 Another Guest Bedroom provides exclusive quarters in a totally separate portion of the house with a large loge-like balcony with a double staircase that overlooks the courtyard fountain and plunge pool down below. The Master Bedroom, which also overlooks the charming courtyard, includes a private luxury bathroom with twin raised stone vessel sinks, Dominican ShellStone surround tile, a soaking tub and separate shower. The state-of-the-arts kitchen includes tall trellised windows for light and custom cabinetry, a restaurant quality gas range, double ovens and stainless steel appliances. Caliza Courts is the newest addition to Alys Beach and the least expensive with prices at $1,795,000. The list price of other opulent properties available here range up to $6,200,000 for a six-bedroom home with 6,880 square feet. The averaged priced property in Alys Beach is offered at $2,439, 727. Call our Ocean Reef Real Estate office today at (877) 392-6085 and one of our real estate consultants will provide you with more Alys Beach information and arrange a tour.